I have to confess that the first time I heard of Swamp Dogg was in the mid-‘80s when I picked up a secondhand copy of Cool, Gene Sculatti’s hipster’s directory. It’s a pretty strange but wonderfully entertaining catalogue covering all aspects of the cool lifestyle. And that includes cooking, which is where Swamp Dogg comes in. The rest’n’rec section contains recipes from Swamp Dogg’s then forthcoming Cook Book That Was Heard Around The World. One of the “exalted gastronomical concoctions” featured is his Corned Beef Cha Cha Cha, which sounds worth dying for. Members of the soul fraternity are able to boast that they will have bought anything bearing the name of Swamp Dogg, or indeed Jerry Williams Jr as he was previously known. Now that’s pretty cool. Myself, I first came across the name of Jerry Williams Jr via the Northern Soul favourite 'If You Ask Me (Because I Love You)', one of those old gems guaranteed to set the pulses racing. Then I saw the name on the credits of Lulu’s wonderfully great southern soul set Melody Fair, where her talents are embellished by the presence of the Sweet Inspirations, Dixie Flyers, and the Memphis Horns, as if to say anything Dusty can do Lulu can do better. One of the two Jerry Williams numbers Lulu gets to sing is the astonishing 'I Don’t Care Anymore', and indeed it does compare very favourably with the now much more famous Doris Duke performance. The song is incredibly vivid and, as Tony Rounce describes it in his sleevenotes for a Kent reissue, “a torturous saga of a woman’s slide from unemployment to spousal abuse to destitution and the final humiliation, prostitution”. It was Dave Godin’s Deep Soul Treasures series for Kent that prompted a resurgence of interest in Swamp Dogg. The series featured three songs from the Swamp Dogg-produced (envisioned!) Doris Duke set, I’m A Loser, from the start of the 1970s. It’s a record Godin is renowned for calling the greatest LP ever. He spotted it from the start, and why bother contradicting? As he writes of opener 'He’s Gone': “Bleak and introspective, 'He’s Gone' is a desolate song of regret and remorse. Doris Duke is beautifully served by a particularly outstanding arrangement that worries, mocks and underscores her own sense of guilt as she expounds the sense of loss she now realises, only too clearly, that she has brought upon herself”. Ah indeed. Poignantly the eventual reissue of Doris Duke’s Swamp Dogg sessions came just after Dave Godin’s death. It was to be the first in a series of Swamp Dogg-envisioned releases. The next was a collection of Irma Thomas’ 1970s recordings, including the awe-inspiring Swamp Dogg-produced In Between Tears set. The heartbeat of this set is the 'Coming From Behind' monologue (cited by David Toop as being among the roots of rap) which segues into the astonishing performance of 'I Wish Someone Would Care', where by the end of this twelve-and-a-half minutes drama (think of Dexys’ 'This Is What She’s Like' and Jaguar Wright’s much more recent 'Do Your Worst' as only possible comparisons) Irma is literally screaming for her life, not pleading but demanding yes. 'I Wish Someone Would Care' was already a deep soul classic from Irma’s Imperial recording days almost ten years earlier, but the Swamp Dogg-envisioned version takes it way, way further, and I mean fervour. 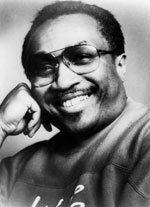 The third Swamp Dogg-related collection in the series is an anthology of Charlie Whitehead recordings from the early-1970s. I guess like many people I first came across the name of Charlie Whitehead in the role of Raw Spitt singing the protest number 'Songs To Sing' on the first set of Dave Godin’s Deep Soul Treasures, and later on a couple of songs on the Kent collection When A Man Cries. The Swamp Dogg-related set draws together pretty much all the recordings the great unknown Charlie Whitehead made, and they stand up against the best southern soul recordings, and maybe benefit all the more from being distinctly leftfield. The story goes that at the end of the 1960s successful young black music business mover ‘n’ shaker Jerry Williams quit the New York rat race, jumped on a plane back down south, and emerged in Georgia as one Swamp Dogg who would become in the words of Tony Rounce (again!) “soul music’s maverick figure, unique social commentator on the human condition, author, DJ, chef, raconteur, wit, man of a thousand faces and a million ideas ­ the self-styled ‘most successful failure’ in the US”. Together with close colleagues like Charlie Whitehead, Troy Davis, and r’nr legend Gary US Bonds, Swamp Dogg set about putting together an incredible selection of songs, arrangements, productions, and releases. His own recordings should not be overlooked, and indeed the first half of the ‘70s was an impressively productive time for his idiosyncratic southern fried rocking soul sound. Several of these sets are still available, and absolutely essential, including the two Excellent Sides collections, pulling together the Total Destruction To Your Mind/Rat On and Cuffed, Collared, Tagged and Gassed/Gag A Maggott LPs. The latter has a bonus live rendition of his 'God Bless America For What', which hits as hard as Curtis Mayfield ever did, . There may be a case to argue that Swamp Dogg is the soul equivalent of Mark E Smith. That one might be worth exploring. They’re both survivors, as talented and as infuriating as hell. They both have very definite ideas about how music should be. Swamp Dogg’s stuck by his soul principles, and it’s deeply ironic that he’s not benefitted from this. One of the soul survivors he worked with (spectacularly) in the ‘70s was Solomon Burke, and he’s among those given a new lease of life in the 21st century. Another one is Candi Staton, who came up with the His Hands set for Honest Jons which almost sounds too perfect, but what about Swamp Dogg? Wouldn’t it be great to hear what he could have done with the new soul generation like Anthony Hamilton?